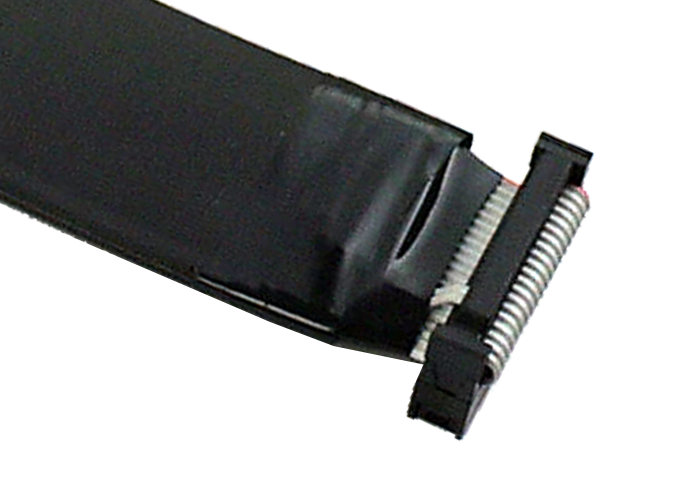 TSM modules are interconnected using small (20mm) flat cable jumpers. Originally these have had 20 wires, but the newly introduced design added 6 wires for better ground and power distribution in large module configurations. 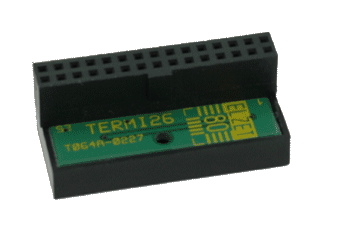 Active termination plug for 20pin modules. One is included with the CPU. Active termination plug for 26pin modules. One is included with the CPU900. 20p. TSM bus cable for immediately joined modules. Spare only, enclosed with every module. 26p.TSM bus cable for immediately joined modules. 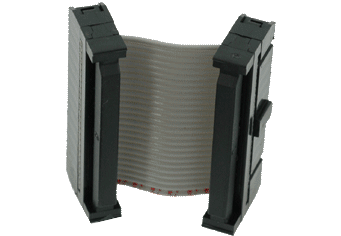 Spare only, enclosed with every module. TSM bus adapter to connect 26pin modules to a 20pin bus, i.e. 20p left, 26p right. TSM bus adapter to connect 20pin modules to a 26pin bus, i.e. 26p left, 20p right. 0,5m shielded 20pin cable to interconnect two rails! While a cable of its kind is attached to each module (i.e. 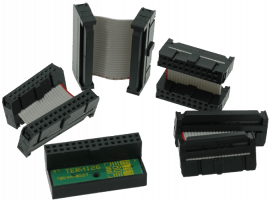 a 20/20-cable with an old module, a 26/26-cable with a new module), there will be situations where you need to interconnect a new with an old module or vice versa. 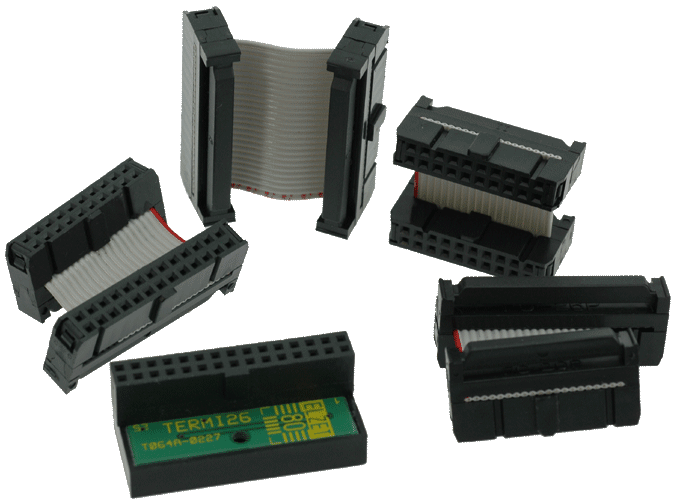 For these applications "20 to 26"- or "26 to 20" -adapters are exchanged for the standard at no extra cost. Please specify these non-standard cables when ordering. Spare cables can be ordered as detailed below. The TSM bus needs a second termination at the far end, i.e. on the last module. The active termination module takes the seat of the open bus connector that would go to the next module. One terminator module comes with the CPU but again might be needed in a different pinout when using mixed connector-size modules. Again, please specify non-standard situations when ordering.